Philippines. 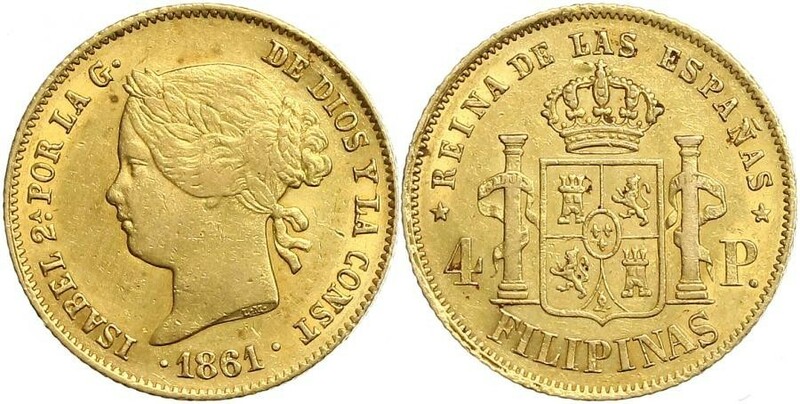 4 Pesos, 1868. Fr-1; KM-144. Isabel II. PHILIPPINEN Isabella II. 1833-1868. 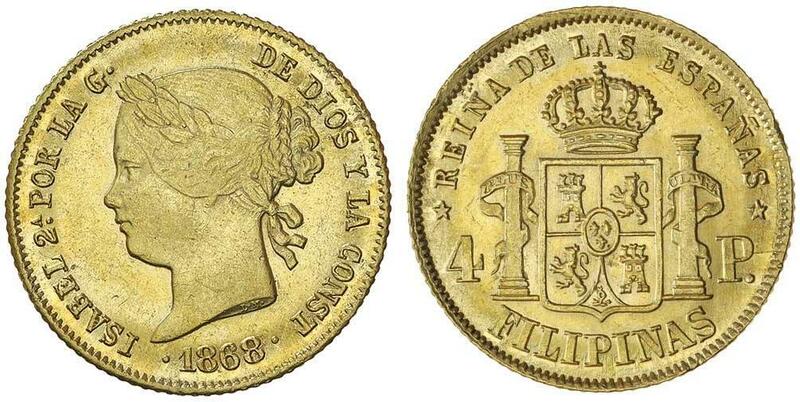 4 Pesos 1866, Manila. 6.69 g. C.T. 126. Fr. 1. Sehr schön. PHILIPPINEN Isabella II. 1833-1868. 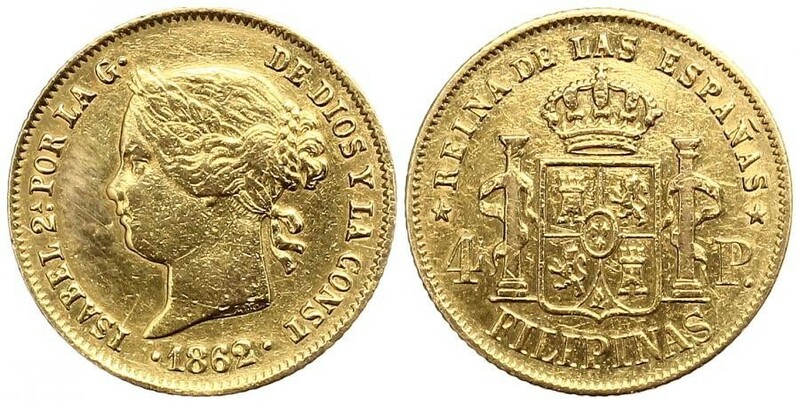 4 Pesos 1868. 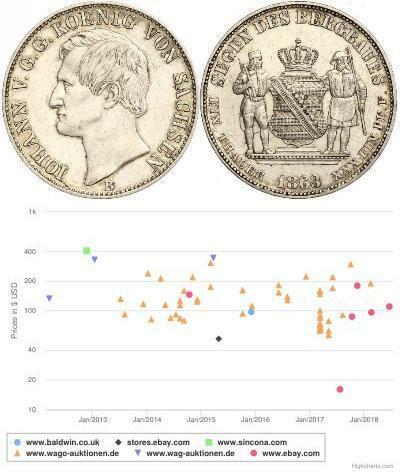 6.74 g. C.T. 128. Fr. 1. Fast vorzüglich. 1868,PHILIPPINES. 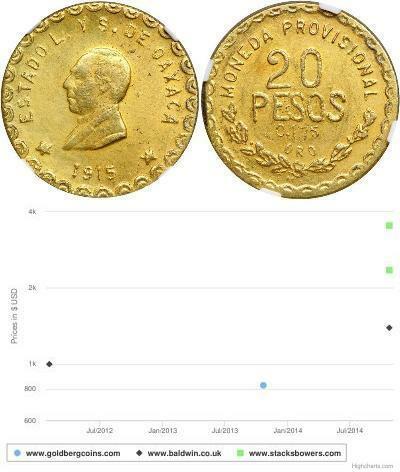 4 Pesos, 1868. NGC AU-58.Fr-1; KM-144; Cal-Type-34#132. 1861,PHILIPPINES. 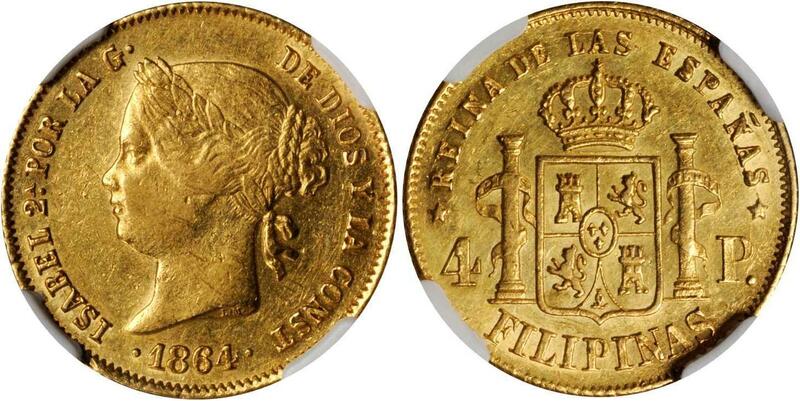 4 Pesos, 1861. NGC EF Details--Removed From Jewelry.Fr-1; KM-144. Removed from jewelry at one point, surface fairly nice considering. Minor contact points. Bright and lustrous with nice details. 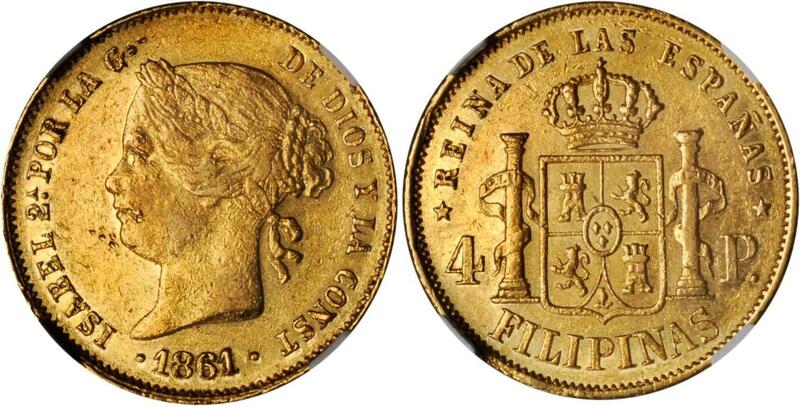 PHILIPPINES, Isabella, four pesos, 1868 (KM.144). Good very fine. PHILIPPINES, four pesos, 1868 (KM.144). Good very fine/nearly extremely fine. Gold PHILIPPINE ISLANDS. 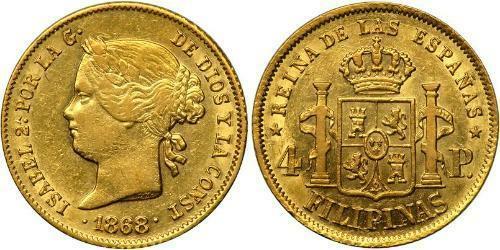 4 Pesos, 1864. Fr-1; KM-144. Isabel II. Choice Very Fine.